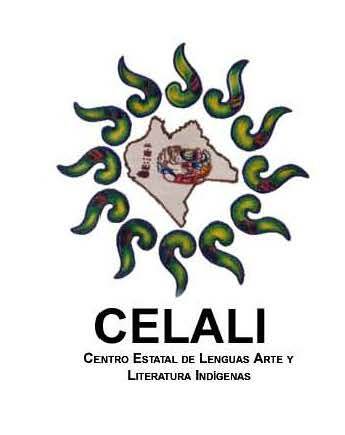 CELALI stands for Centro Estatal de Lenguas, Arte, y Literatura Indígenas (State Center for Indigenous Language, Art, and Literature). CELALI has Casas de Cultura covering the entire state, providing cultural centers for all language groups. This year, the directors of the nineteen casas for the seven Maya languages are invited to the congress. 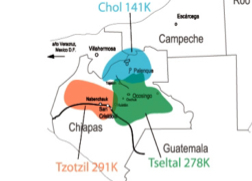 Language map showing the three largest language groups of Chiapas. 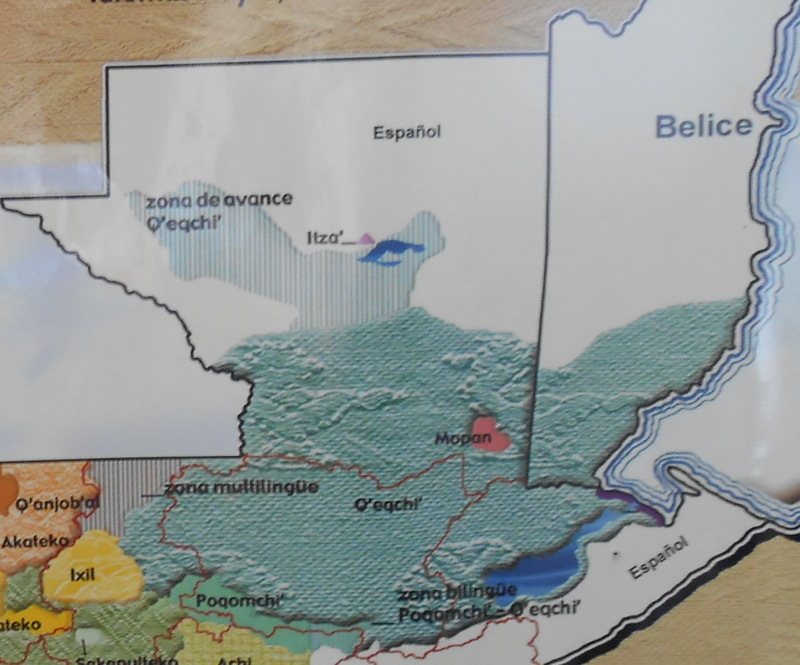 The three largest language groups are Tzotsil and Tzeltal, close to 300,000 speakers each, followed by Ch’ol at just under 150,000. Tojol-ab’al is fourth with around 45,000. 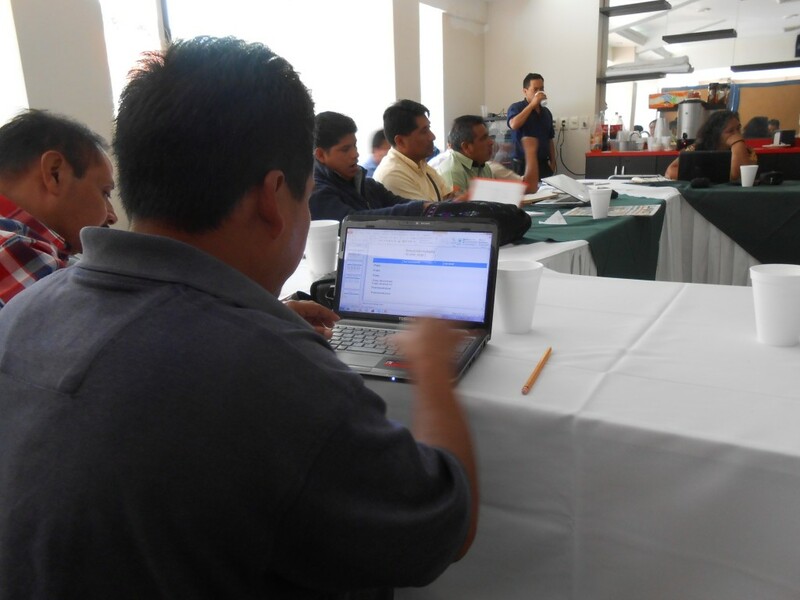 A grammars and dictionaries workshop in Tuxtla Gutierrez in June 2013. There is another important group of Chiapas researchers invited to the congress; the dictionaries and grammars project. The name of the organization is Gramaticas y Diccionarios Mayas, within the state Department of Indigenous Education. Their goal is to produce grammars and dictionaries to be used in the schools among the eight indigenous languages of Chiapas, seven Mayan plus Zoque. How perfect for them to be introduced to epigraphy! Mopan language map, Petén, Guatemala. Another group previously outside the scope of Maya glyph workshops is the Mopan Maya of southeast Peten, Guatemala. 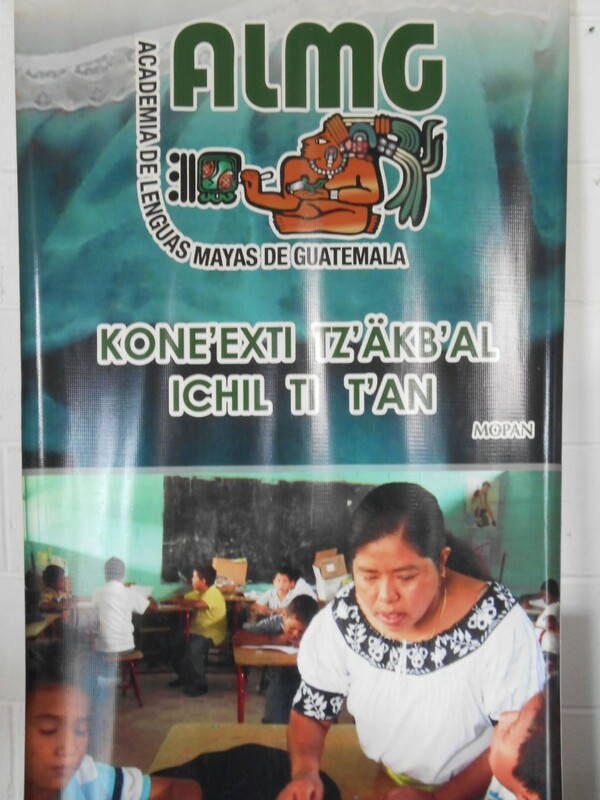 This year six Mopan speakers from Guatemala will travel to Chiapas for their first introduction to Maya epigraphy. The Academy of Maya Languages of Guatemala (ALMG) has their Mopan headquarters in San Luis, Peten. From Belize, for the first time, all three Maya language groups will be represented: Yucatec, Mopan, and Qekchi’. In all, this will be a great year for newcomers, as our teams of experienced Maya epigraphers introduce them to the amazing field of ancient Maya writing.